← Tips for promoting your book at signings or public functions. If you’re on Twitter (if you’re not, why not? 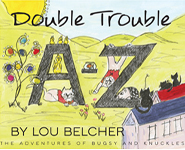 ), do you have trouble finding like-minded people to follow? There used to be a wonderful site where you could search for people by searching their bios for words that are of interest to you. For example, I would search for writing, quilting, etc. Chances are if an individual mentioned those words in their bio, we might have something in common. Unfortunately, that site does not exist today. If someone wants to recreate it, but sure to let me know when it’s up and going. I’ll be thrilled to use it and send others to it. Anyway, hashtags (known to you and me as the pound sign -#) are a good way to find people to follow who will have something in common with you. One I use when I want to connect with other writers is #amwriting. By adding #amwriting or #writing to your tweet or simply by putting either of these in the search tool on Twitter, you’ll go to a stream of current tweets of people tweeting who have also included one or both of these in their tweets. Therefore, you’ll instantly find others interested in writing. I don’t use #’s all the time. I do like the variety of tweets from the other people I follow, but when I want to find writers, I narrow the field by using the hashtag. This is not a device only used by writers. You can put a hashtag before any word and start your own special area on Twitter. 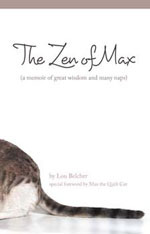 For example, when I launched the publication of The Zen of Max, I added #ZenofMax to all my tweets. Soon others would too if they wanted to see what was being said about the book. When you first start using a new term, you’ll be a little lonely out there until others start to use it too. But tweet about it and others will catch on. If you have a special interest and want to find others who share it, just choose a common work and put a hashtag before it. Type it into the search tool on Twitter and you’ll probably find others who had the same thought. For example, if you’re an artist and want to find other artists to follow, put #art in the search tool and you will be connected with others who have used #art in their tweets. In that list, you will certainly find others to follow. So, have a great day and go forth and have a conversation on Twitter. This entry was posted in social media and tagged hashtags, twitter. Bookmark the permalink.